If you think your kids talk back, then you haven’t met the Opposites – sassy siblings who will teach your kiddo vocabulary skills. The words get harder as the game progresses, so younger readers might need some help. There are days where my kids could fight each other over who gets to sweep the floor. (They don’t realize that no one wins in that situation except for Mommy, who doesn’t have to sweep that day.) Back and forth, like a game of rigged Olympic badminton; they go on and on until something breaks or someone gets hurt. I never thought it would provide for a learning experience but the developers at Mindshapes have proved me wrong. 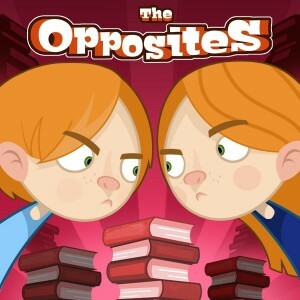 The Opposites are brother and sister and they are certainly not at a lack for words. They go back and forth, spitting out pairs of antonyms, and the player has to pair them up before time runs out. They stand on opposite side of the screen with their arms crossed and a wall of their candid portraits is a backdrop for the game. The levels started out easy with pairs such as young/old and easy/hard. By level ten, I was actually Googling the definition of compulsory. What really ups the educational ante with this app is the dictionary section. The pairs from each level are presented together and when I tapped on one it brought me to another page with the definition and the antonym. I could either learn the words before I played the level or I could take a guess. 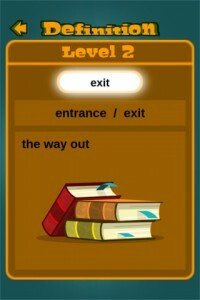 The words are also spoken within each level which helps with pronunciation and word context. 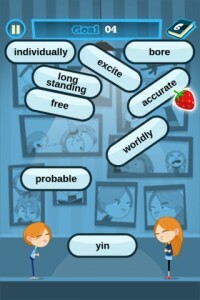 While this app is clearly educational and won’t be confused for a game, it’s a very good tool to help teach vocabulary skills. It’s free for a limited time to download it now and you won’t have to listen to bickering about who gets to put away the dishes.